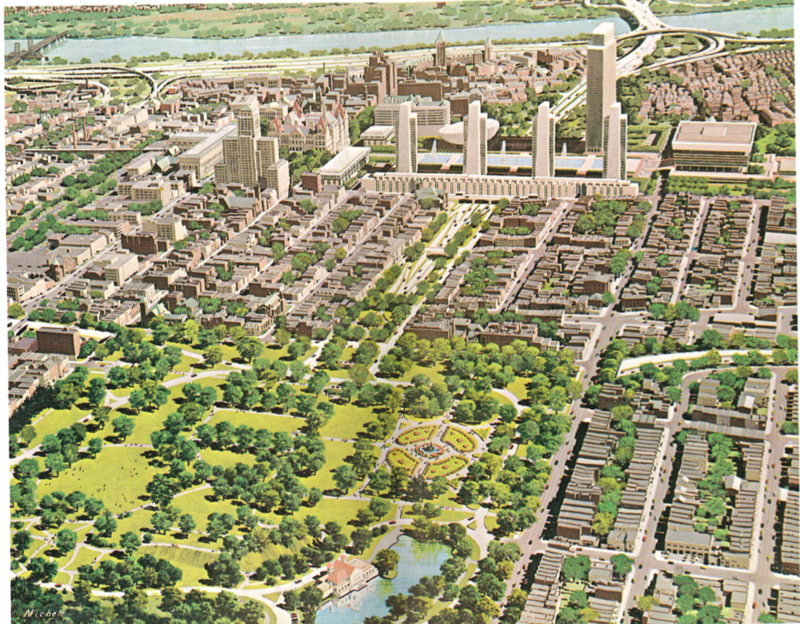 Artist's rendition of Washington Park with the proposed Mid Crosstown Arterial entering from the left and right, and the connector from the Empire State Plaza. One of the things I do is historical research about highways and defunct highway proposals/projects. Over time I am going to put some of the material I've collected here. Initially all this material will be in the Hudson Valley and Capital District of New York. Thanks to the Capital District Transportation Committee for the materials they have made available to me.